As a former English major with a concentration in creative writing, I’ve had my share of harsh critiques. I’ve probably even given a few. With each workshop class I participated in, I received constructive criticism and learned to thicken my skin. Does that mean I’ve transcended hurt feelings? No, I’m only human. However, what I have done is learn how to handle any harsh critiques I may get with an element of grace. Most of the time, it’s nothing personal. If someone sends you a harsh critique, it doesn’t mean that they hate you or your work. Although it may sting, keep in mind that your reviewer is trying to be helpful. And if the comments seem particularly mean-spirited, that person may simply be having an off day. Try not to take it personally. Don’t feed the trolls. If a critique comes across like a slap in the face, or it’s clear that someone is trying to start a fight with you, do not engage. It won’t end well for you or for anyone else involved, trust me. People want you to succeed. More often than not, your reviewer is trying to be helpful. If they’re critiquing you, they want to help you make your work better. Keep that in mind when reading feedback. Your reader or critique partner might not mean for their words to come across the way they do. Technology has made modern communication so much easier, but subtext and inflection get lost in translation. Before lashing out at someone regarding a comment they made, consider all the different meanings it could have. If you’re still uncertain, feel free to ask for clarification. Note the positives. A good beta reader or critique partner will sandwich constructive criticism between praise. If the criticism stuns you, take a minute to consider the compliments, too. Remember: you’re the expert. If someone says something about your writing that you don’t agree with, you don’t have to change it. You know more about your story than anyone else. At the end of the day, you’re the boss. Getting a harsh critique may feel like the end of the world. Using these tips, you should be able to handle any constructive criticism that comes your way. 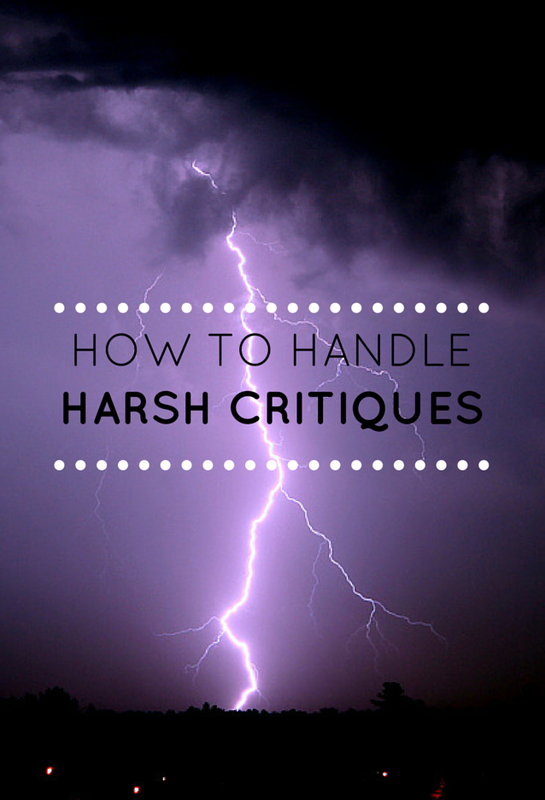 How do you handle harsh critiques?